Visual artist, editor and director Sebastián HOFMANN (1980, Mexico) received his Bachelor degree from the prestigious Art Center College of Design in Pasadena and attended a masterclass in Script Writing with Todd Solondz. His work was exhibited in New York, Sydney, Berlin and Rio de Janeiro. 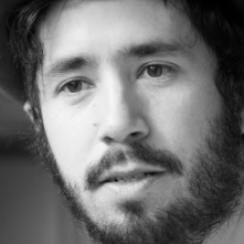 He has made numerous experimental short films and music videos for the Mexican underground scene. His feature film debut Halley was screened at IFFR 2013, as well as his internet series Los micro burgueses. In 2018, his second feature Time Share was released. Tropical intrigues in a sun-drenched Mexican resort. At the Vistamar Holiday Park, paradise can be bought – but at what price? While their better halves blossom, Andres and Pedro become convinced that dark forces are at play. Satirical, familiar and with a dash of subversive black humour. Beto is dead and can no longer hide this with make-up and perfume. Life stops. For zombies too, at some stage. But before we get that far, Beto experiences a special friendship with the vivacious Luly. Contemporary Gothic story with an unusual twist. Unique (and bizarre) web series are being created all around the world. 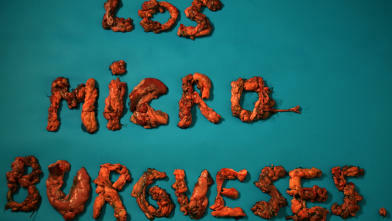 Social satire about the adventures of three friends in a suburb of Mexico City.